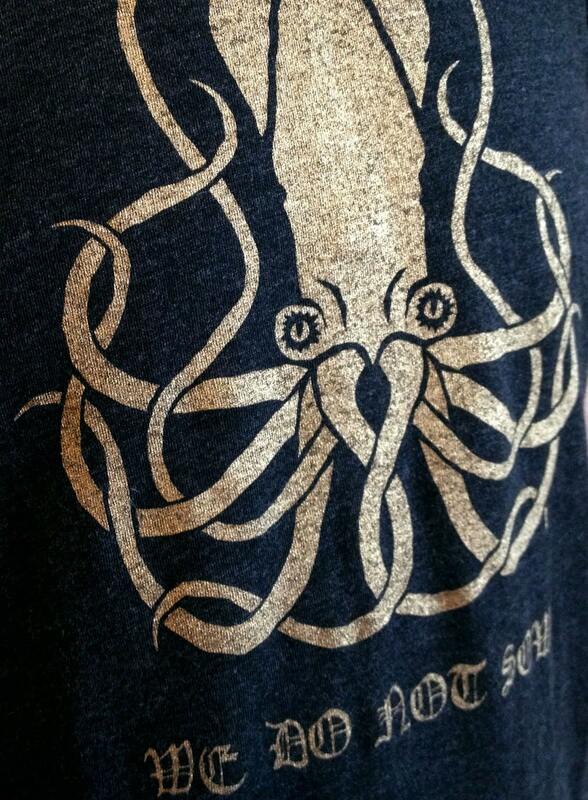 House Greyjoy of Pyke. We Do Not Sow. Kraken sigil with house words. • Tee is unisex crew neck in heather black with gold ink. • Chest measurements in inches: S 36" M 39" L 42" XL 45" XXL 49"
• See our other listings for more Game of Thrones inspired favorites! My fiancé loved this shirt! It’s soft, the print is clear and bold and it looks and feels good! We currently accept credit card payments, and payments via PayPal. Exchanges are allowed within 14 days of delivery. Item must be mailed back via USPS First Class to the return address on the package to ensure timely replacement. Please contact us to figure out the cost of additional shipping. Item(s) must be in unworn & unwashed condition. Item(s) that smell like perfume, deodorant, smoke, etc. will not be exchanged or refunded. Sorry, no refunds or exchanges on custom orders. If something is wrong with your order, please write to us about it right away. We want to make sure you're happy with your purchase. TURNAROUND: Please expect your item to be processed within 1 to 5 business days of your purchase. After order processing is complete, shipments within the US usually take 2-5 business days, although we can't make any guarantees on behalf of the Post Office. Please note, items that are made-to-order can take up to 2 weeks in production. INTERNATIONAL SHIPPING: We do ship internationally. Please note that international shipments are potentially subject to duty and taxes. They can sometimes be delayed in the Customs process, so please be patient! International packages can take 1 to 5 weeks to arrive, depending on Customs. Please keep in mind: you will be entirely responsible for any custom fees that your country's postal service requests of you.